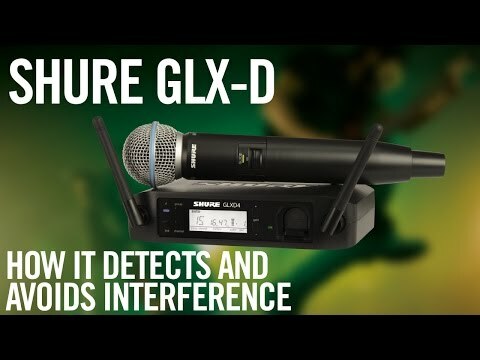 Shure GLXD24UK/SM58, Digital Wireless Microphone System, Includes GLXD4 Receiver, and GLXD2/SM58 Handheld Mic Transmitter The GLX-D Digital .. 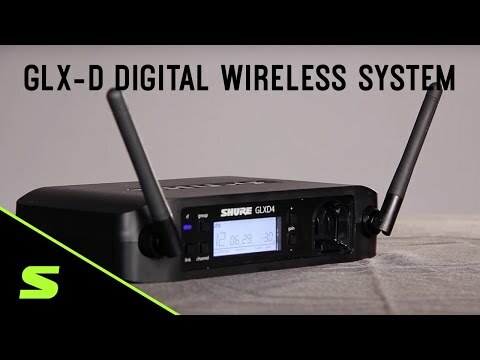 The GLX-D Digital wireless system is one of the most advanced 2.4GHz wireless systems available. Offering automatic frequency management and best in class lithium-ion rechargeable battery system. 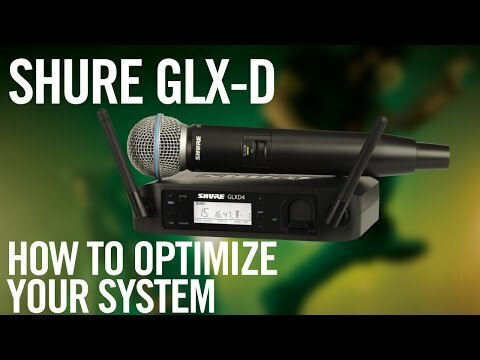 The GLX-D24/SM58 dynamic vocal system is ideal for the busy hard working singer that needs a rugged, reliable system that is always ready to go. Affordable 2.4GHz digital wireless systems.Professional quality sound. Rechargeable. The Shure SM58 Wireless version faithfully converts the essence of the original wired SM58, creating a perfect balance between reliability, ease of use and Shure's trademark sound quality. ans as the go-to microphone for any vocal performance. The GLXD24 single channel receiver works on a 2.4gHz Digital Frequency band for supreme reliability and signal integrity, also saving you the need to purchase a separate license to operate it in public.